Pick up a map and brochure at most local shops in Minnetonka or email me at mylivelybrush@gmail.com and get one in the mail. Type send me a map. And I will! June 2019 I will be having a solo show at the Vine Arts Gallery. 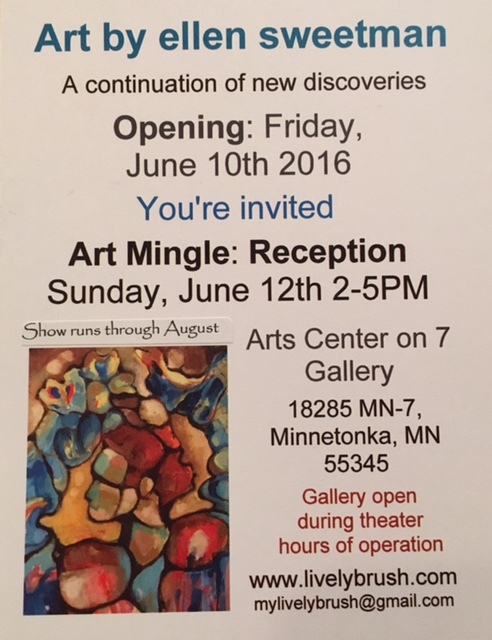 Mark your calendars for the opener June 1st 6-9PM. Enjoy an evening out , come meet me, and talk about art. I will be showing my art and doing a demo this January at the MN Arboretum. Artwork is for sale. Stop in from the cold and check out this group of local artists including me. I have artwork available for purchase this holiday season at Jewelweed. Please stop in and see all the lovely gifts my friend has available including some of my artwork. Cheers to all as 2018 comes to a close. Please check out my offerings and work with me in the new year. I’m doing wonderful thing and you can too! Greetings Holiday Go-ers! Wanted to plug MN Art Truck, Matt Swenson and his attendance at the Holidazzle this year. Please check him out and buy locally. I have a few lovely little pieces left on the truck to close out 2018 that would make fabulous gifts for self or that someone special. Stop in and see him or give me a ring. I have a few gems left of 2018 who are looking for final homes. If it speaks to you buy it. There is something about the gift of connection and art has won my heart this holiday. 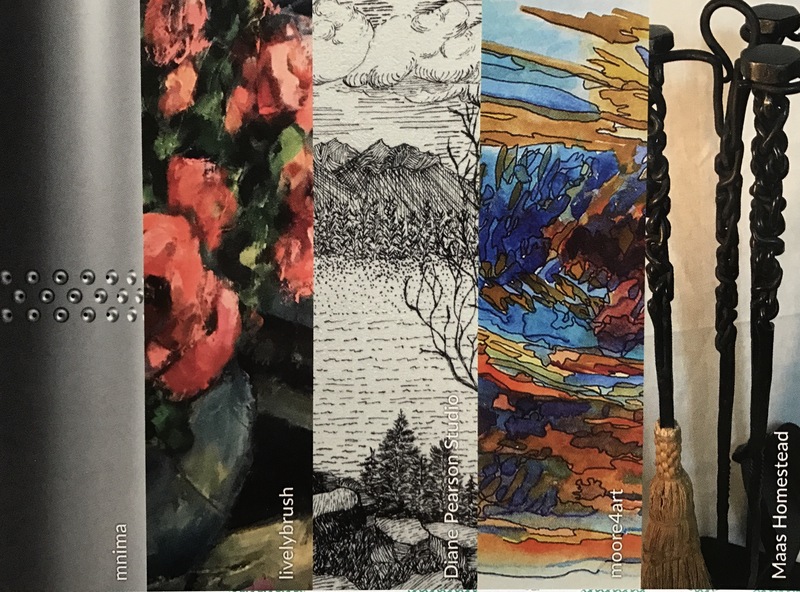 I started a Drawing Co-op with my good friend and fellow artist John Sandy, fine artist and teacher who happens to own Glass Endeavors with his fabulous second half. Every Monday you can find me there drawing and brushing up on my skills. There is a live model and if you are looking for a group to participate in, join us. Magic happens everywhere, especially at the Longfellow Drawing Co-op/Make your Mark Here. Summer 2018 is upon us and my artwork has found a couple of new locations. Please check out Jewelweed at 611 Lake Street East, Wayzata, MN, USA. There your heart will be filled with some amazing goodies to feed your soul. Among the fabulous treasures and products my artwork is there for sale. The MN Art Truck is a traveling show @ mnarttruck.com. This is a gallery filled with some awesome MN talent which comes to you. You can find the truck at many art shows this summer. I am a guest for the summer. Check it out! 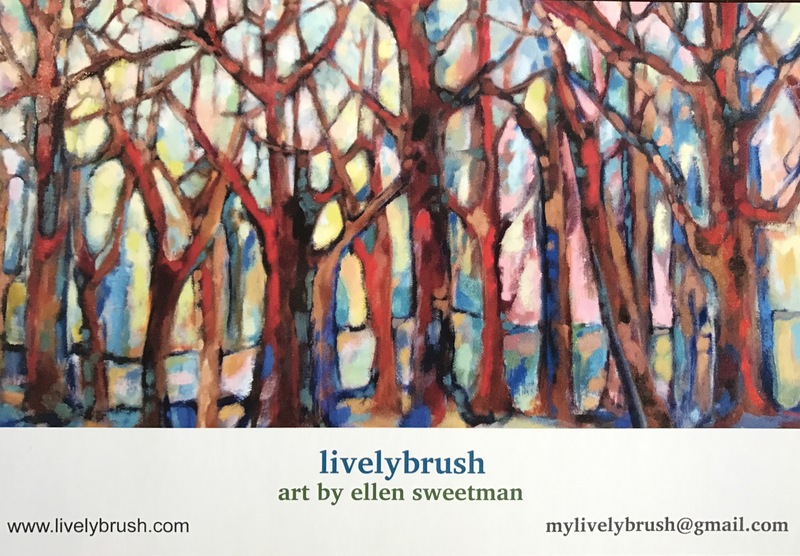 To sign up on my mailing list: email me at ellen@livelybrush.com and receive up to date information. Below is information re: past and present shows and whereabouts (just keep scrolling). Most recent include: The Commons – The Uncommon Workplace, Excelsior MN (December 2017-open ended), Bower Boutique (May-open ended 2017). All works are for sale at these locations. Please contact someone onsite or email me at ellen@livelybrush.com. 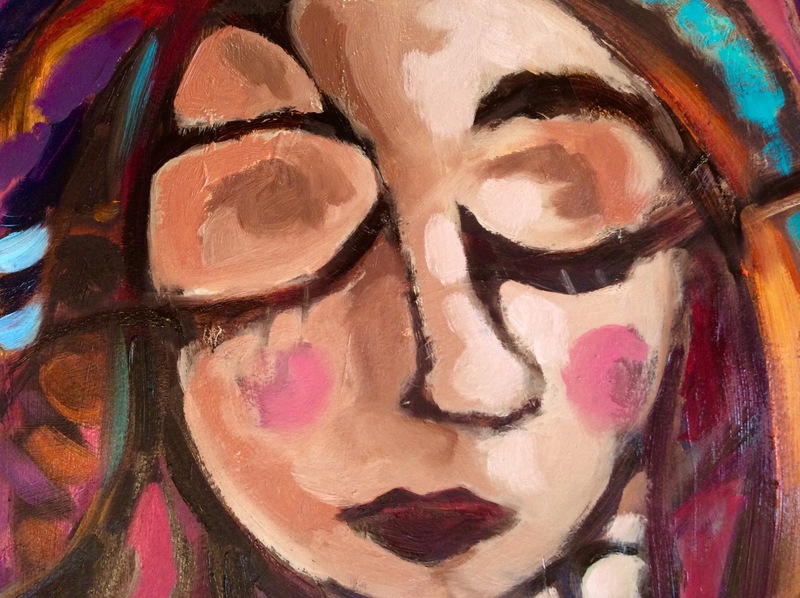 I have work accepted at Gamut Gallery. Please join me! For Gamut Gallery’s annual “C4W: Call 4 Work” exhibition, we welcome Joel Coleman as guest curator. Coleman has been immersed in the local art scene with his tenure as the proprietor and curator of The Abstracted Art Gallery (2012-2014), and was familiar with the vast majority of local submissions. Currently, Coleman serves as a Made Here Arts Advisory Panel member, involved in the curation and installation of artwork in vacant downtown Minneapolis storefronts in partnership with the Hennepin Theater Trust. The Arts Center on 7 Gallery (ACo7) has graciously invited me to fill its space with artwork again this year. I will be there all summer . I have decided to do a tribute piece to all those that have supported me and influenced me and my art. This will be a very special show. Come check it out during regular summer hours 10-3PM door 1N weekdays. Or contact me in advance to meet you there. The show runs June-August 2017. Four of my works will be shown at MCAD. The exhibition will open on Friday, June 9, with a reception from 6-9 p.m. The show will run through July 16. Please check out Bower Boutique in S. Mpls. I have 13 works of art on display and for sale. Grand opening Friday, May 19th, 2017 from 4-7. Art, clothes, music, and light fare and drink. Come witness the painters process from sketch to completion. Please join me this summer for my very first interactive installation. The Arts Center on 7 Gallery has graciously invited me to fill its space with my artwork. I will be covering its walls with a progression of my work. Each stage will be represented- starting with sketches all the way to finishes works of art. This show runs from June to August. Art on the Lake in Excelsior will be happening. I believe there is a shuttle from this location to the lake. Come early and stop in for the lovely artwork before you catch your shuttle. Some good eats and a light drink will be provided on Sunday. Thank you to all who celebrated and participated in the Art Sale/Open House on Sunday, March 20th. It was a huge success and I am grateful for all the love and support that made this event possible. Please check in to see what is up and coming. My plan is to continue updating the website on a biweekly basis.